An All Terrain Vehicle (ATV) exudes ruggedness and power. Riding it can be sheer fun. It is not as challenging as it looks unless the terrain you are riding it on is difficult. When one can have so much fun by just riding this vehicle for a little while, why not let the kids enjoy it too? The big real time ATVs are definitely too big and just not suitable for kids. It is unsafe to give such a powerful vehicle in the hands of a child. However, the kids’ version of this vehicle is available to satisfy that persistent demand from your child, to ride an ATV. When you are buying a product for your child, utmost care has to be taken not just in choosing the type of product but the quality too. Always ensure you test the product before you let your child use it. Products such as ATVs, though easy to use, need to be operated properly. Teach your kids in detail, about the operations and how to control the vehicle once they start riding it. Never leave your child unattended unless you are sure they can handle it on their own. If you have been searching for Coolster ATV reviews, to help you make a well informed choice, you have come to the right place. Here you can find not just the features but also what is good and bad about this product. The 125cc fully automatic ATV from TAO is sure to make your child happy and turn up the fun quotient. Fully Automatic – This ATV if fully automatic and requires your child to do nothing but use the handlebar to control the vehicle. All In The Handlebar – The brakes and the power button are all at hand’s reach. Your kid can control the torque and the brakes at the handlebar itself. With an electronic start button, a remote kill switch and a fully automatic vehicle, there is very little one has to do apart from steering the vehicle. Dual Brakes – Vehicles like the ATV need good brakes as they are driven on uneven terrain and just front or rear brakes are not sufficient. The front brake is a hand brake while the rear brake is a drum brake. The drum brake ensures the vehicle is controlled smoothly and does not stop abruptly, thereby throwing your child off balance. 2 Wheel Drive – Though a regular ATV is a four wheel drive, this kids’ version is only a two drive. This is not only safer as it delivers lesser power than a regular ATV, but is also easier to maneuver. Warranty – The Coolster ATV has a one year warranty for the engine. Independent Shock Absorbers – Shock absorbers are a main element in any vehicle. It is these that determine the smoothness of the ride. Since this ATV has independent shock absorbers, the rough terrains are taken on well by the vehicle. This ATV has a few negatives too. Not CARB Approved – Since it is not CARB approved, it cannot be used within the state of California, nor can it be sold to a resident of that state. Limited Warranty – The warranty is very limited. It is just 30 days for the defective parts and accidents are not covered. Also, damages caused during transit are not covered. Hence if you receive a damaged product, it could always be blamed on shipping and you will have to bear the expenses. Insufficient Instruction Manual – This ATV has to be assembled once removed from the package. However, the instructions provided in the manual are not sufficient for a person who has no clue about ATVs or such vehicles. Thus, making it a little difficult to assemble without assistance. Short Battery Life – The battery that comes with the vehicle is not long lasting. When used with a good speed and the lights, the battery seems to drain in no time, thus reducing your fun time on the ATV. Loose Parts – Though the vehicle is sturdy on the whole, there are many loose parts that need to be tightened and fixed up by one self. Oil Access –This vehicle needs the oil to be refilled as and when required. However, the oil dip stick is not in a very accessible place. You may have to cut out a little hole in the foot rest to access the dipstick easily. Size – The size of this vehicle is much smaller than what is advertised. It may not be suitable for tall teens or older kids. Colors – While most of the ATV sellers don’t have color options, this Coolster ATV has more than four different colors to choose from. If you are planning to buy more than one, you can have a colorful display of kids’ ATV in your home. Suitable For All – Your kid needn’t be a good driver or have prior experience in handling an ATV. This vehicle is easy to maneuver and operate as everything is built in the handle bar. Any kid can ride it with a few practice rides. Designed Like Big ATVs – It is not just the design but ht econtrols of this ATV is also very close to the real time full size ATVs. If your kids learn to ride these well, they can have a smooth transition when shifting to the bigger version. Shock Absorbers – These shock absorbers are much better than other ATVs’ in the market. this facilitates a very smooth ride and ensures your child is not hurt when riding these on rough terrains. If you are looking for a cheap coolster ATV, the 125cc fully automatic with reverse is the one for you. This Coolster ATV price is very pocket friendly and is one of the cheapest ATVs sold in the market. this is just the perfect gift for your child on any occasion. 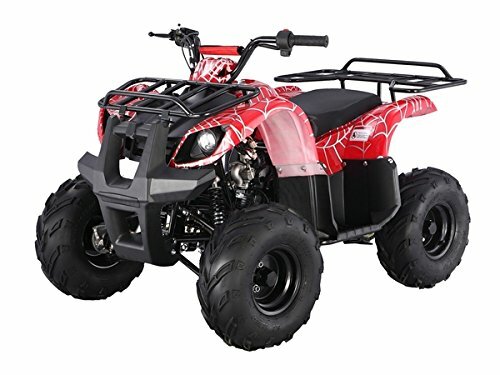 Not only does it fit within your budget, but is also just the right size for a small kid who cannot go on a full size ATV. The main idea behind this product is to let the child enjoy the thrill of speed and controlling a vehicle that is not just a scooter or a bicycle. Also, to let the child experience the adults’ rides in a safer way as the size and speed are controlled. If you are on a vacation mode and just want to relax, just charge this ATV and let your kid ride it while you sip your drink and watch over them. No more running behind them or playing actively with them to keep them occupied. 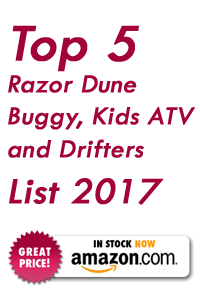 About GMI Motor Sports and Tom P.
Copyright © 2017 GMI MOTOR SPORTS - ONLINE MINI BIKE | KIDS DIRT BIKES | MINI DIRT BIKES | BEST REVIEWS. All Rights Reserved.